Obesity can be simply defined as having excessive body fat based on your height. The obesity epidemic has been rapidly affecting the youth throughout the world. So is obesity inherited? For some people, obesity might be inherited, but for others, it is just a result of unhealthy lifestyle. Genetics and obesity do not have much in common because external factors play a major role. As per studies, the most effective technique to prevent obesity or reduce weight is by cutting down on the consumption of high sugar content food and by regularly exercising. Do you too believe that obesity is hereditary? Genetics and obesity have been interrelated for ages, but obesity has nothing to do with your heredity. Obesity is rarely a result of your genes. As per Harvard School of Public Health (HSPH), genetics have a very minute role (if any) in determining your body weight. On the contrary, other studies suggest that genes do have an important role in the development of obesity. However, it is not mandatory that people who carry genes associated with obesity will turn into obese. It is so because there are other factors like lifestyle and external atmosphere that affects your body. Those who are overweight or obese due to genetic predisposition can lose weight by keeping a check on their diet and regularly working out. Opting for alternative lifestyle habits like healthy diets can improve your body structure. There are other factors that contribute to obesity as well. According to studies, obesity is caused due to genetics (40%) and environmental factors (60%). Environmental factors usually refer to the food that you eat and the quantities that you consume, physical activities throughout the day and the use of computers, laptops, and television. Is Obesity Recessive Or Dominant? The global obesity epidemic is growing at such a pace that it has affected all ages, sexes, and races. 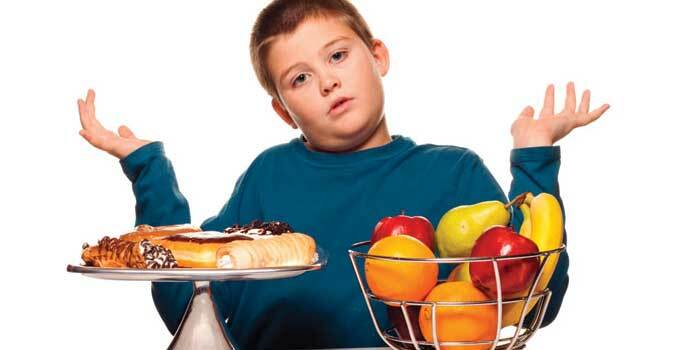 Obesity in children is a major concern because in most cases, it prolongs in their adolescence and adult years as well. Obesity leads to higher health risks as it can lead to diseases concerning your heart, respiratory system (asthma) and even cancer. One cannot be sure if obesity is recessive or dominant because there are around 30 different genes which are related to obesity, few of which are recessive while others are dominant. However, the ones who have a genetic predisposition can be healthy depending on their diet and lifestyle. Not everyone who has certain obesity related genetic tendencies will become obese. How Can You Prevent Or Reduce Obesity? Walking 30 minutes every day can help you shed those extra pounds. According to American Heart Association (AHA), a person weighing 150 pounds can lose up to 240 calories by walking for an hour. Diet plays a major role in maintaining a balanced weight. Make sure your daily meals have adequate amounts of nutritional value plus taste. Consult a nutritionist for better guidance. Sleep is very important to keep your mind relaxed and stress-free. Some studies have found a direct connection between stress and obesity. Stress leads to unhealthy eating habits, for some, it might even lead to binge eating. Lack of sleep can cause hormonal misbalance leading to weight gain. Do you think that obesity is inherited? Let us know in the comment section below.